on Saturday, April 28th,. 9am-4pm. Service at Orange County food banks and meal distribution sites to raise awareness about the severity of hunger in the local community. This Day of Service gave the Uni Care Project an opportunity to build awareness, take action and connect with other students and clubs throughout the Orange County community. 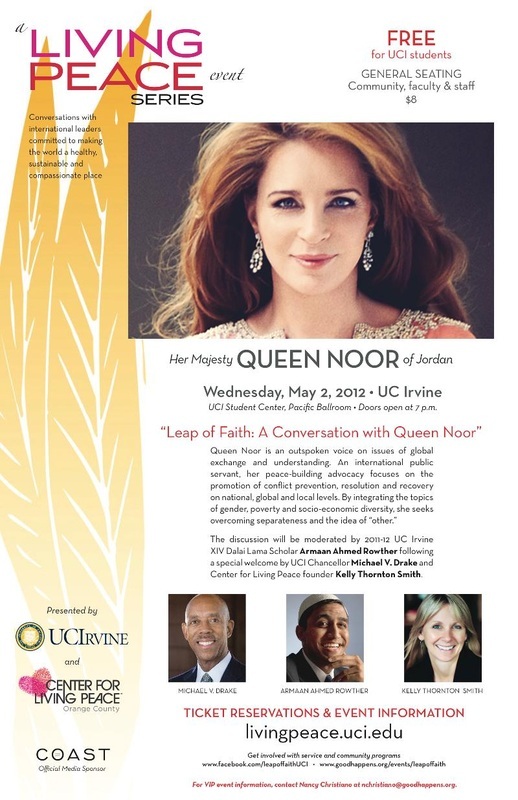 Then, we received premier seating at the SOLD OUT speaking event on Wednesday, May 2nd with Her Majesty Queen Noor of Jordan.